For a limited time, the Kingdom of Arendelle has brought a small part of itself to Disney California Adventure, and it's not to be missed! Meet your favourite Frozen stars, sled and play in real snow, enjoy tasty hot treats and sing along to your favourite Frozen tunes, only at Frozen Fun! 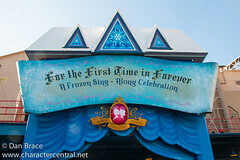 Click the "About" tab below for a lot more detailed information on all the Frozen Fun offerings. 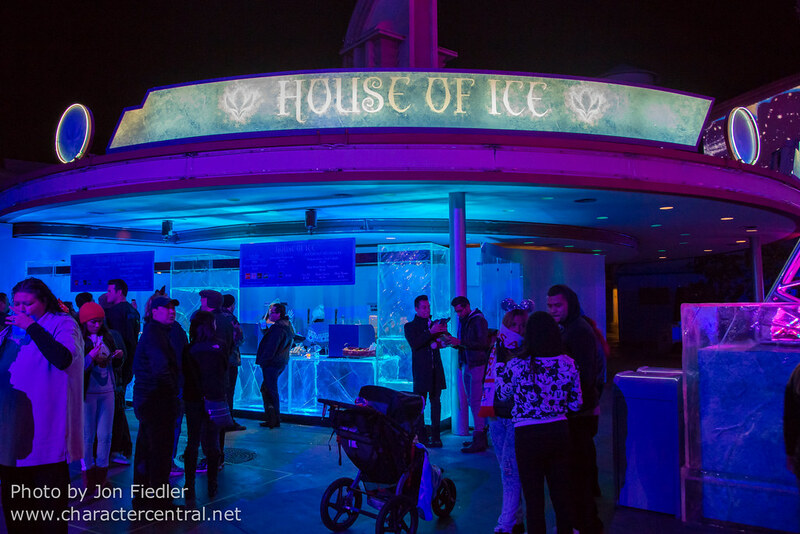 Be sure to scroll all the way down this page for lots of photos from Frozen Fun! 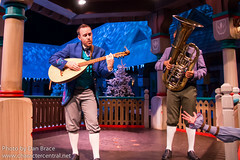 Click on the Sing-Along button below to see lots of photos from the show! 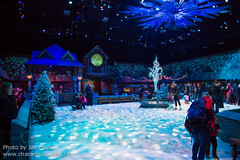 Olaf greets inside "Olaf's Snow Fest". To meet Olaf you need to line up early and get a buzzer. Once you have your buzzer you can explore anywhere in Hollywood Land. 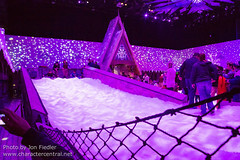 Once the buzzer goes off you return to the Olaf check-in desk inside Snow Fest, where you will be directed into the queue. From here the wait is usually minimal. Anna and Elsa greet inside the Animation building at "Character Close-Up". 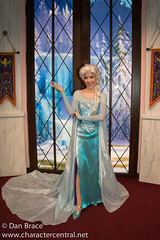 To meet Anna and Elsa you must have a FastPass. FastPasses can be collected from the kiosks outside the building, and should be done early as to guarantee availability. 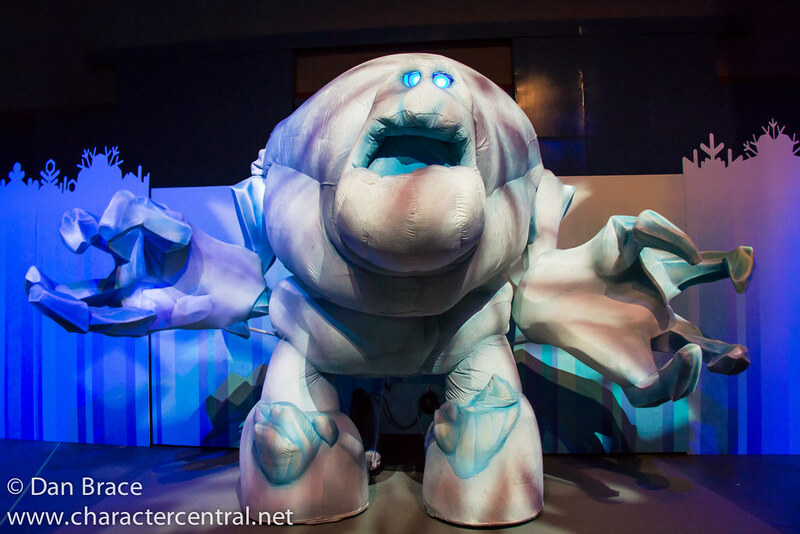 Once your FastPass time comes around, enter the building and join the queue outside "Character Close-Up". 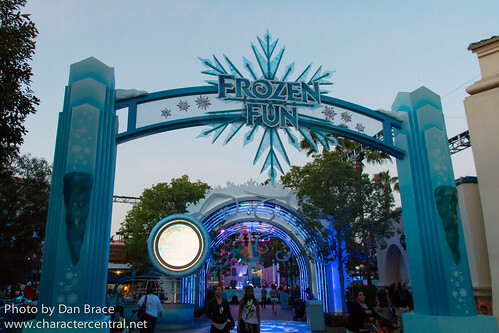 Frozen Fun consists of several key areas. 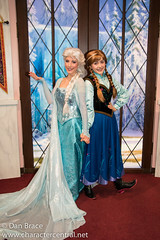 Meet Anna and Elsa at their "Royal Welcome" - Meet Anna and/or Elsa inside the former Character close-Up section of the Disney Animation building. FastPasses are distributed outside the building on the street. See the "Meeting Info" tab for more details. "Do You Want to Draw a Snowman?" 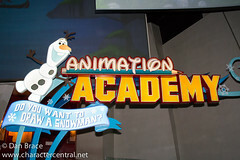 - Learn how to draw Olaf at the Animation Academy. 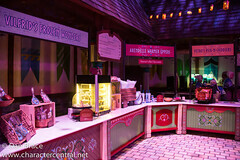 The courtyard in front of Monsters Inc, where Mad T used to be, is now home to the rest of the Frozen Fun offerings. 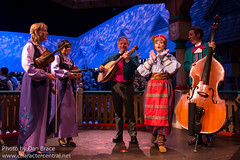 "For the First Time in Forever: A Frozen Sing-Along Celebration" - Join Royal Historians Aria and Eric at the Crown Jewel Theater (the old Muppets theatre) as they retell the story of Anna and Elsa, with the help from some very special guests! 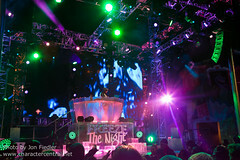 "Freeze the Night! A Family Dance Party" - A DJ plays some "cool" tunes and is periodically joined by a special guest for a big number. 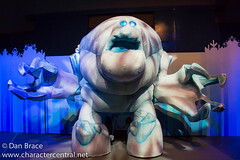 "Meet Marshmallow" - A photo-op to take a picture with a giant statue of the Marshmallow character. 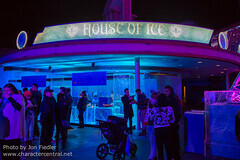 "House of Ice", "The Ice Box" and the Food Truck - Chill with a frozen drink or treat from any one of these window locations in the courtyard area. 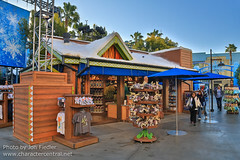 "Wandering Oaken's Trading Post" - An outdoor merchandise location that houses many Frozen souvenirs. 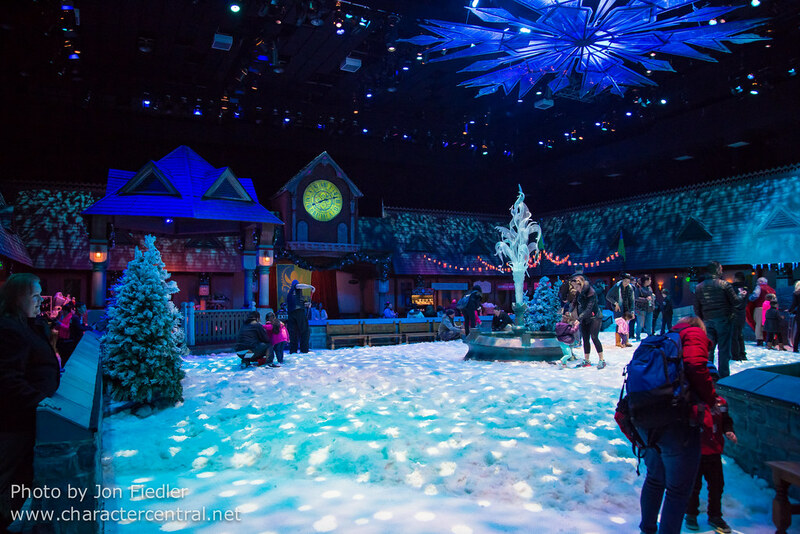 "Olaf's Snow Fest" - Located inside the soundstage next to the Crown Jewel Theater is a real winter wonderland! Here you can sled down a hill topped with real snow, build a real snowman and meet Olaf himself! 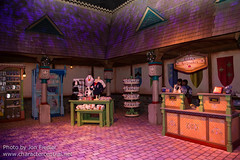 There is also a small merchandise location called "Kikka's Keepsakes" and a food and beverage location that offers some really tasty goods, including a white chocolate hot chocolate! A band also play periodically at the gazebo inside here. 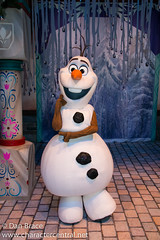 For Olaf greeting details, see the "Meeting Info" tab.